Arvonia Inn | slate river ramblings . . . . In the early 20th century the social comings and goings of Arvonia were frequently printed in the “Society Section” in the Sunday edition of the Richmond Times-Dispatch. The Arvonia Inn was mentioned often. The Bridge Club met there. Seasonal boarders enjoyed extended stays. Relatives came from neighboring counties for leisurely visits. Below are some enticing samples from the “Society Section” . . . .
Mr. and Mrs. F.P. 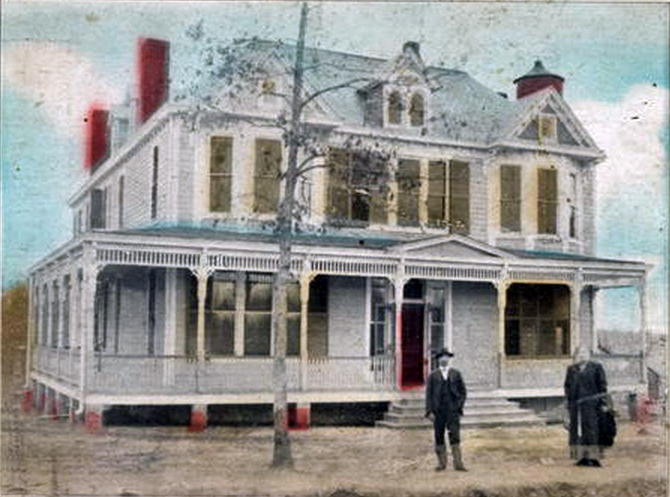 Smith who, with their daughters, Misses Nellie and Annie, have been spending some time at the Arvonia Inn, have returned to their home in Norfolk. Mrs. Lettie S. Morgan, with her two daughters, Lettie and Eleanor moved to the Arvonia Inn from their handsome home here. R.C. Stearnes, secretary of the State Board of Education, paid a visit to Mr. and Mrs. Plummer F. Jones at the Arvonia Inn . . .
Mr. and Mrs. Ralph Chandler Root, of Penlan, will come to Arvonia late this month and spend the winter months at the Arvonia Inn. . . .
Miss Vera VerPlanck, of Brooklyn, N.Y. is expected to arrive here with her sister within the next few days and spend two months or more at the Arvonia Inn. Mrs. Edwin E. Crooke, who has been spending some weeks in the Middle West, arrived here on Tuesday of this week, and will remain at the Arvonia Inn with her young daughter, Margaret, for some weeks. Albert J. Terrel, of “Bear Garden,” near New Canton, visited Rev Plummer F. Jones at the Arvonia Inn this week. Click on here for more about the Welsh community at Arvonia and the lovely Lettie Morgan. A high quality, digital scan of the above image of the Arvonia Inn is available online from Card Cow.